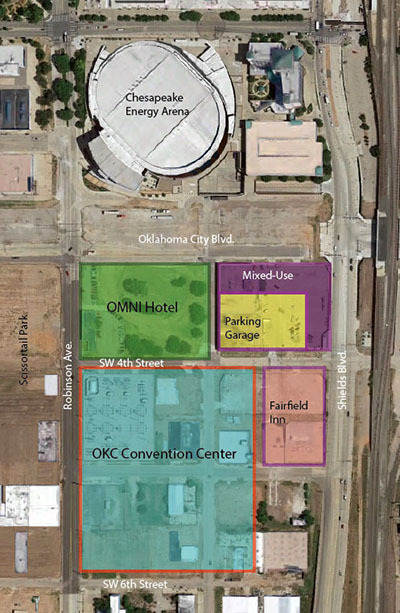 As part of the deal with Omni hotels to develop a 600-room convention center directly adjacent to the new MAPS3 convention center, the city must provide structured parking for the hotel. Recently, the city acquired the old OG&E data center on the block directly east of the proposed Omni, and has received approval to proceed with a $40 million garage. 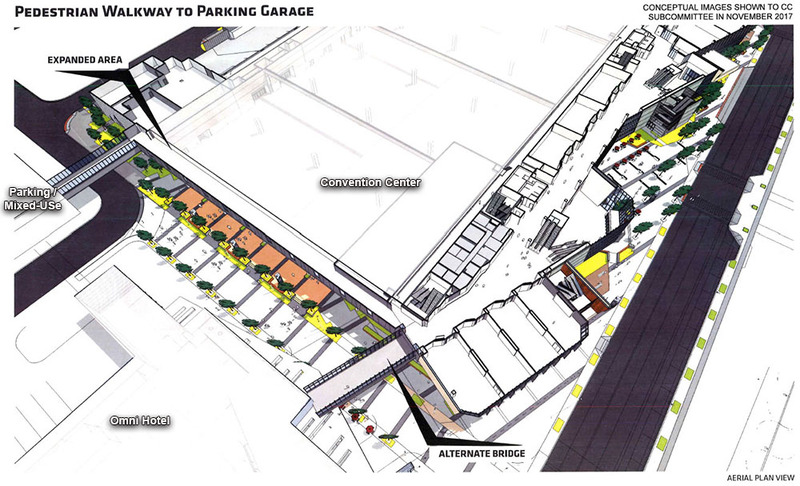 In order to maximize the garage property along the forthcoming OKC Boulevard and to defray some of the costs, the city will likely seek requests for proposal (RFP) for a mixed-use project that would be developed in conjunction with the garage. The Oklahoma City Urban Renewal Authority will be working with the Oklahoma Development Authority – each headed by Cathy O'Connor – to assemble a committee and issue the RFP. As part of this agreement the group may sell a portion of the old OG&E block to a developer if they are chosen by an appointed selection committee. 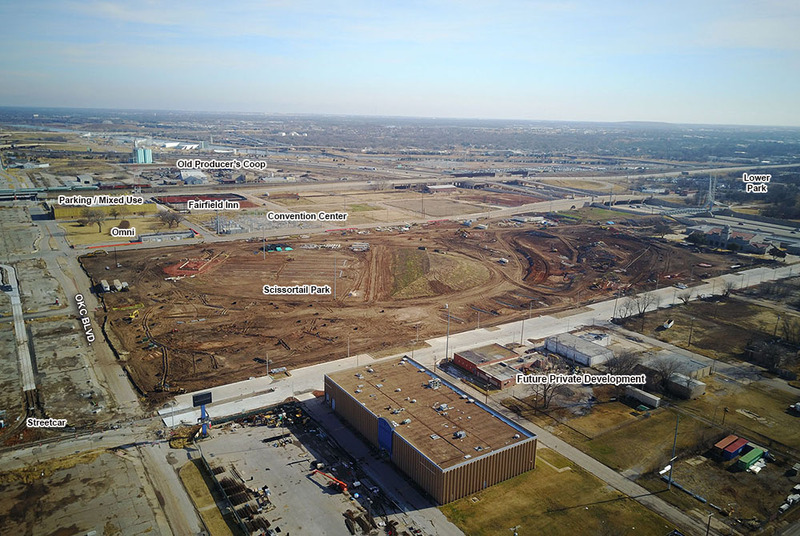 Work is already well underway for the MAPS3 Scissortail Park to the west and the convention center and hotel should start construction later this year. Construction has also commenced on a 133-room Fairfield Inn, the first private development in the area know as Core to Shore. 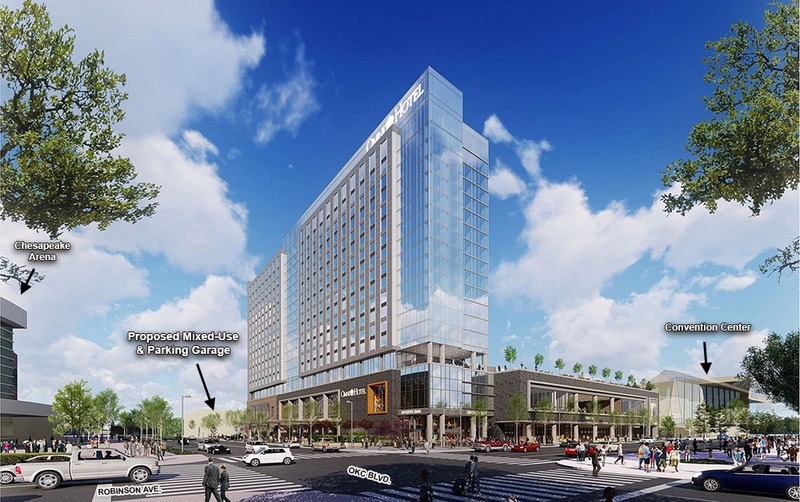 Also this week, the city submitted plans to the Downtown Design Review Committee for enclosed skywalks which would connect the convention center to the Omni and the proposed parking structure. In addition, the city is set to start clearing the land for the lower section of Scissortail Park, which will run from I-40 and the Skydance Bridge all the way to the Oklahoma River, ultimately fulfilling the long-term plan of connecting downtown to the river and its numerous recreation facilities.